Soup, soup, soup. I could eat it all year round. Not only does it make your tummy warm and happy inside, but it is a one pot meal! Fewer dishes for me to wash = happiness. 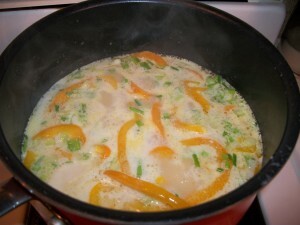 Gather your ingredients: Scallops, orange bell pepper, garlic, ginger, scallions, basil, limes, chicken stock, coconut milk, butter, s&p. How pretty does that look?! 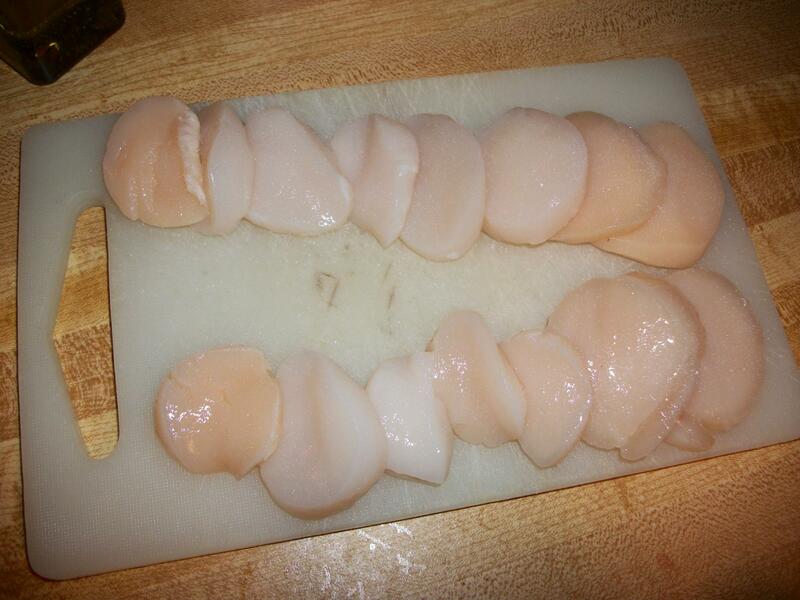 This recipe actually calls for small scallops, but my supermarket only had the large ones so I sliced them in half. 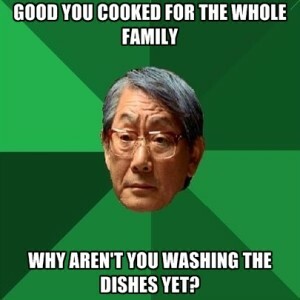 Honestly, I’m not sure if that’s the right thing to do by culinary standards, but the scallops still tasted nice. 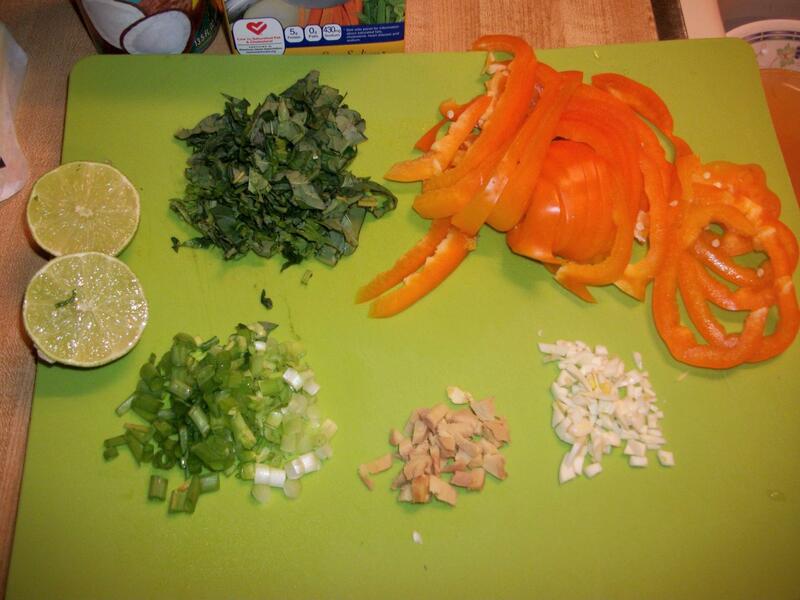 Thinly slice the bell peppers, scallions, and basil. 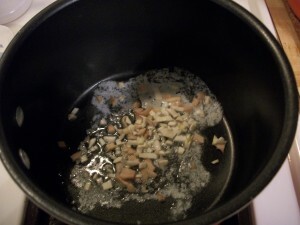 Mince the garlic and ginger. Salt the scallops lightly on both sides. 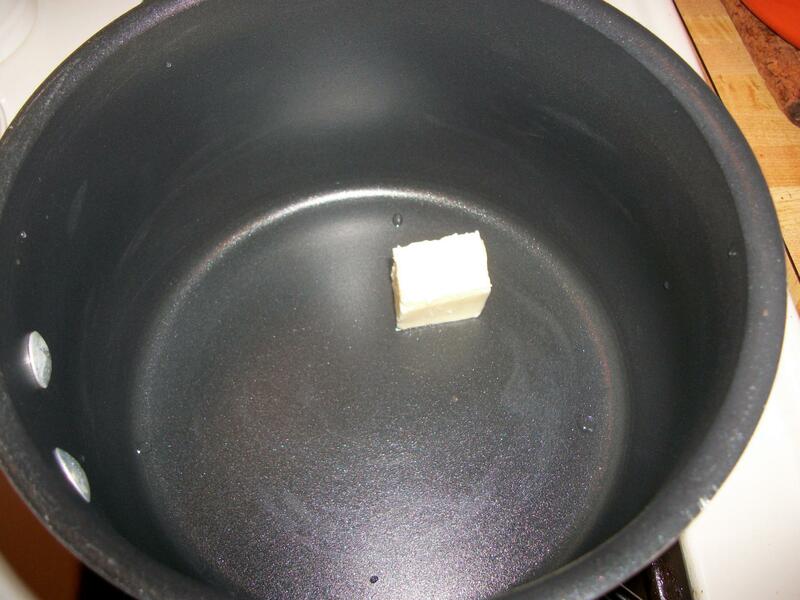 Melt the butter in medium pot over medium-high heat. Toss in the ginger and garlic. Saute for about 1-2 minutes. 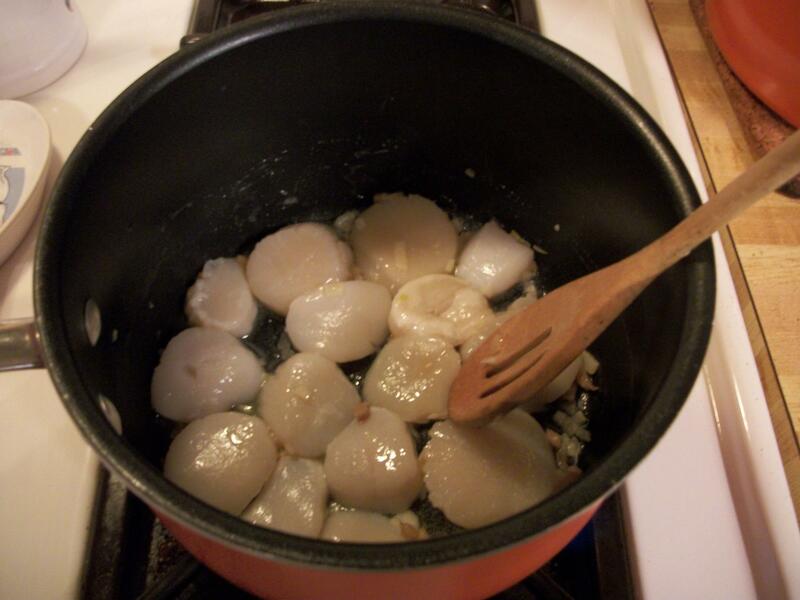 Add the scallops and saute 2-3 minutes. Add the bell peppers, scallions, chicken stock, and coconut milk. Bring to a gentle boil. 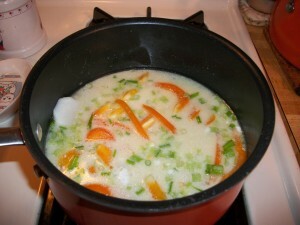 Remove from the heat and add the rest of the ingredients. Serve immediately. 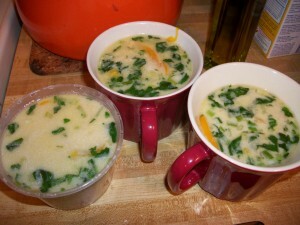 This makes three nicely sized servings. I intended to bring these to work for lunch, but I quickly learned that this does not warm well. 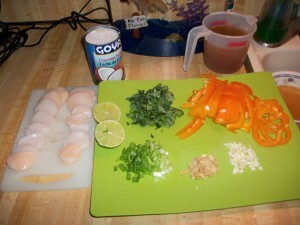 The scallops get very rubbery in the microwave, but the flavor is still there. Thanks for stopping by and don’t forget to practice Aloha! Melt butter in a medium pot over medium-high heat. Saute ginger and garlic for about 1 minute. Salt the scallops and add to the pan. Saute 2-3 minutes. 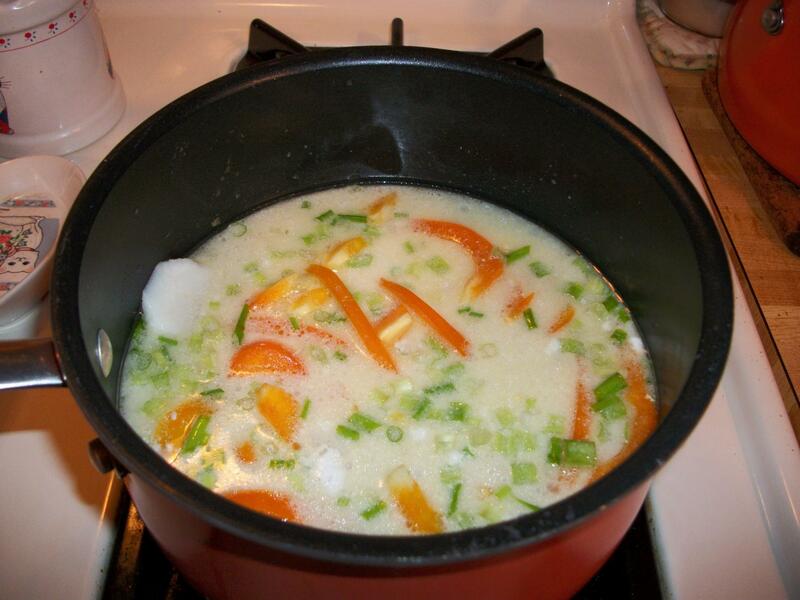 Add coconut milk, chicken stock, bell pepper, and scallions. Bring to a gentle boil. Remove from heat. 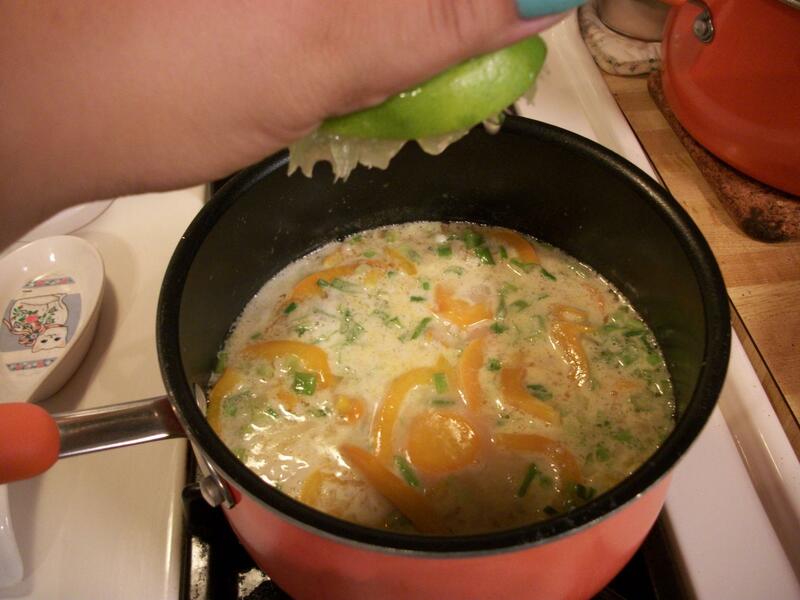 Stir in lime and basil. « Things That Make Me Go Mmmmmm….